Currently under construction, we took an architect designed linear house, built it up and out, and formed two contemporary marine dwellings. 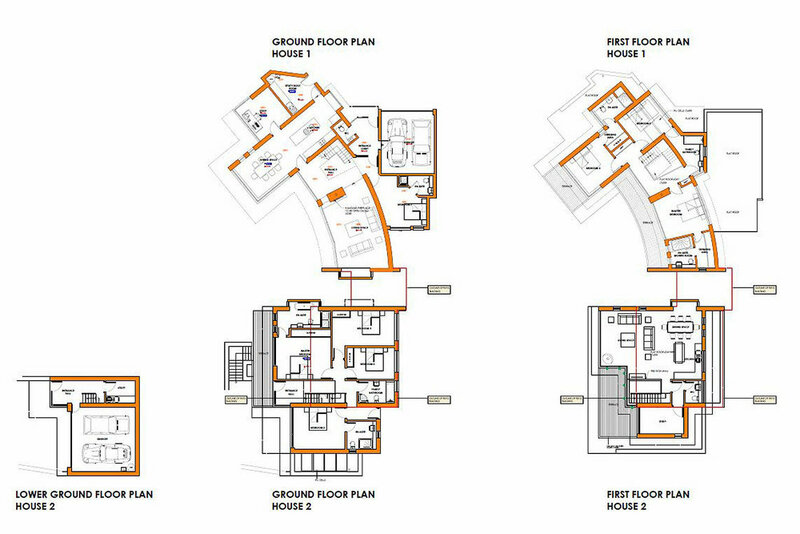 For House 1, Beau Soleil, the original form of the living space was respected and maintained. This was then extended upwards to create a 4-bedroom house with panoramic views of the Ilsham valley and across to Tor Bay. Good sized terrace space at both floor levels maximises the expansive vistas. The original sleeping wing was separated and rebuilt as a detached house, House 2, Beau Vista. This house is reverse level, has 4-bedrooms and an undercroft double garage. Generous terrace space at first floor level accessed from the large open-plan living space, encourage enjoyment of the dramatic sweeping sea views. External materials include powder coated aluminium glazing, low-maintenance weatherboarding, crisp white render and frameless glass balustrading. 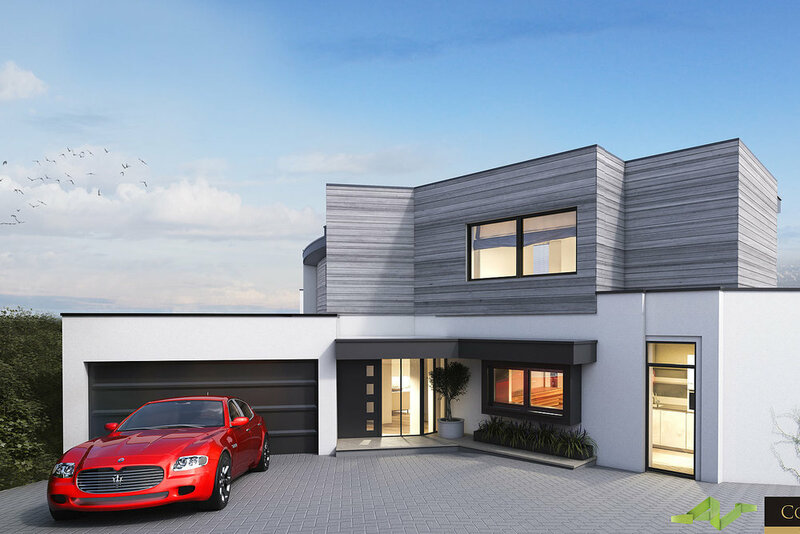 Taking a 1960’s single storey house, developing a design to exceed our Client’s expectations and securing Planning Permission was always going to be challenging. We are confident the results speak for themselves. We took an architect designed linear house, built it up and out, and formed two contemporary marine dwellings.